Landscape Lighting can be amazing. It will give you many more hours of your most pleasurable outdoor activities, whether it be swimming, gardening, entertaining, reading, eating, or just relaxing. You can also use your lighting for more practical things like safety and security. It's fun to highlight certain places and/or certain items in your garden like statues, fountains, walkways, even special trees. When adding lights to your outside area, you are not only adding something that will be a benefit to you, but you also adding "curb " appeal. Yes, it does add value to your home and your guests will be impressed whether they are arriving or whether they are leaving. There are so many styles, finishes, and functions of outdoor landscape lighting to choose from. Your first step is to decide "WHAT" you want your lights to do. For example, Do you want them to light a walkway? Do you want them to highlight a fountain? Or maybe you would like to have a splash of light here and there. Once you decide, it is much easier to choose the style and color. 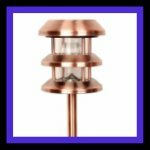 LandscapeLightingShop.com They have all kinds of outdoor lighting fixtures for you to choose from. They can also get you headed in the right direction. Next, you will want to choose your "Landscape Lighting System" There are three (3) different types. ***The next step is to make "The Outdoor Plan". As with your design ideas, your flowers, pond, fireplace, etc. You should also have a plan for your outdoor lighting. A good plan always makes for a better result.